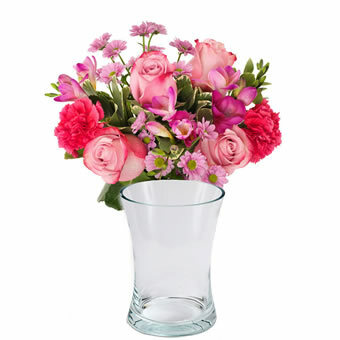 When you can`t be there - this bouquet in cerise and pink colors is the perfect gift. Local florists choose the most beautiful flowers of the season and hand-tie this creation locally for you. Together with the added vase, you got a very classy present! The perfect combination to enjoy the gift straight away!